Have you ever wondered how an electric motor works? I mean, with all the spinning going on, how come the inside doesn’t get all tangled up? The answer is pretty simple – electromagnetism! Electromagnetism is the force that governs the forces created by electricity and magnetism. Simply put, both electricity and magnetism are related. So, whenever electricity flows through a wire, it generates a magnetic field. You can see this by making a coil of wire and running a electricity through it, then hold up a compass. 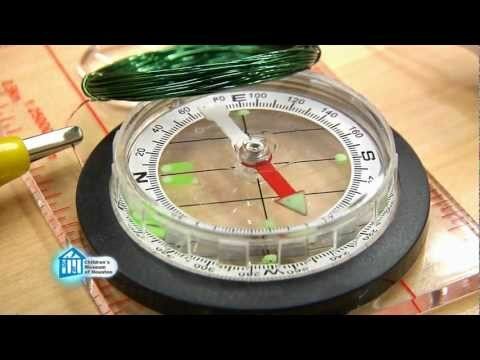 The compass needle will deflect indicating the magnetic field. You can use the same principle to create a simple model of the motor using paper clips, a coil of wire, a battery, and some alligator clips. It does take some work to get the model working right, so don’t give up too quickly – it will work. But do the size of the coils affect the motor? Or the type of magnet? Or the number of coils? Or what about the type of battery – will that affect it? Well, it sounds like you may have some experimenting to do. Have fun!